Our company excels in for providing Cotton Modal Fabric to the clients. This is available in various colors and is an inevitable fabric of the garment industry. This product is available in different patterns and sizes in a vast range. This product is tested on various parameters according to the needs of the clients. Owing to rich industrial experience, we are involved in providing Cotton Modal Fabric. Keeping the diverse requirements of the customers in mind, our company is involved in offering superb quality range of Cotton Modal Blend Fabric. 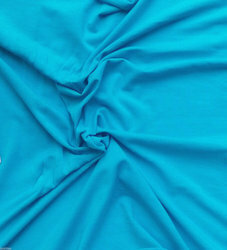 Fabric Width: 35 to 60"
Width: 58-60", 72", 108", as per reuirement, 44-45", 35-36"
Color: 5 shades at present. We are a unique name in this industry and provide our prestigious clients an exclusive range of Modal Fabric.